is honored on Panel 55E, Line 16 of the Vietnam Veterans Memorial. Thank you for your service as a Tactical Aircraft Pilot, and for graduating from West Point. It is Lent, which is a time of preparation. The war was years ago, but we all need to acknowledge the sacrifices of those like you who answered our nation's call. Please watch over America, it stills needs your strength, courage and faithfulness. Rest in peace with the angels. Final Mission of LTC Leslie E. Harris Jr. 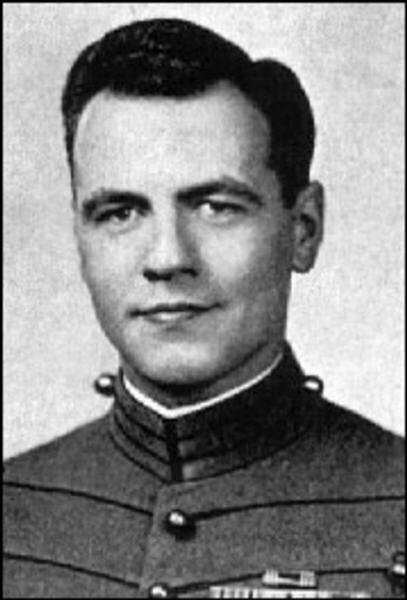 The “Friends of Rocky Versace” once again remember one of Rocky’s fellow alumni from the U.S. Military Academy at West Point, Lt Col Leslie Earl Harris Jr., USMA Class of 1949, on what would’ve been his 94th birthday - 20 March 2018. The “Friends of Rocky Versace” remember one of Rocky’s fellow alumni from the U.S. Military Academy at West Point, Lt Col Leslie Earl Harris Jr., on what would’ve been his 93d birthday - 20 March 2017.